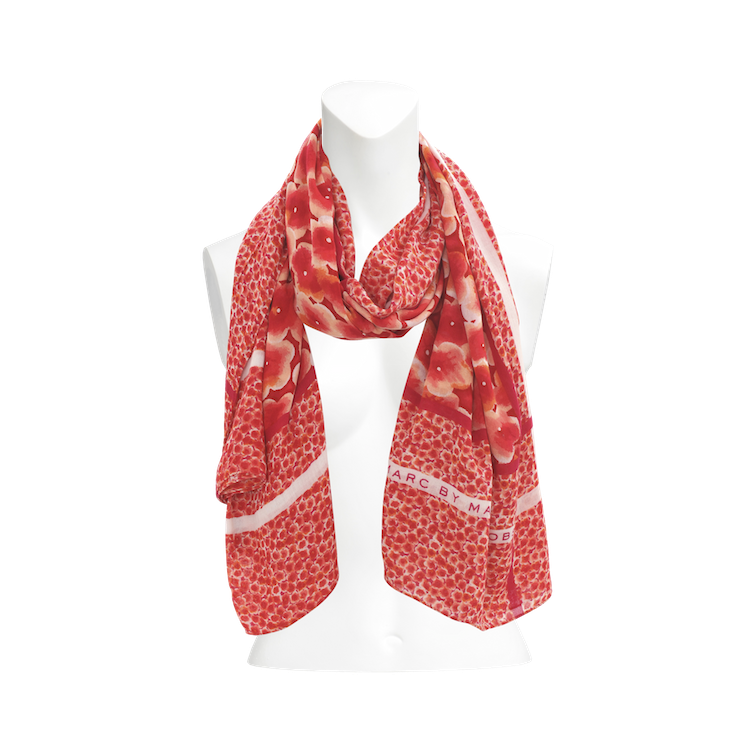 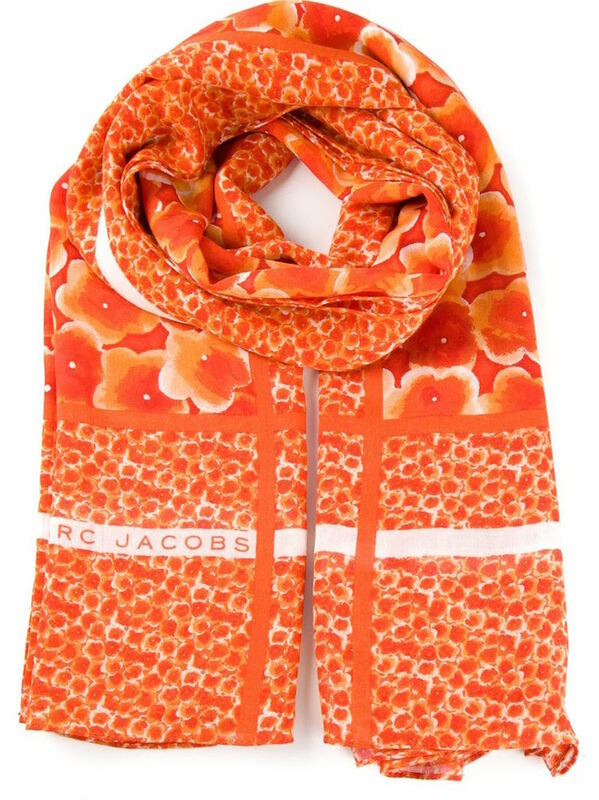 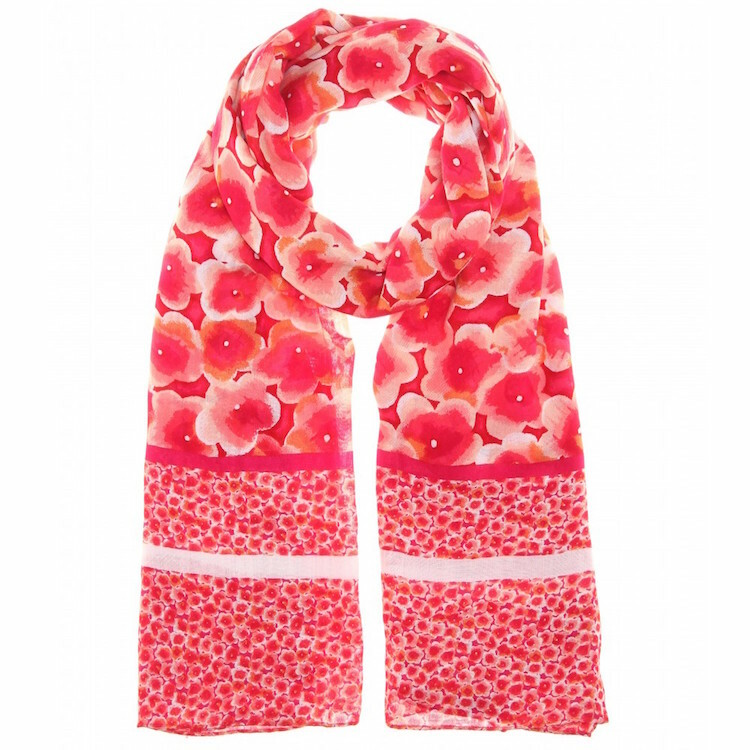 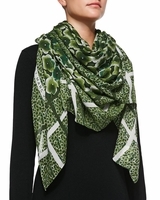 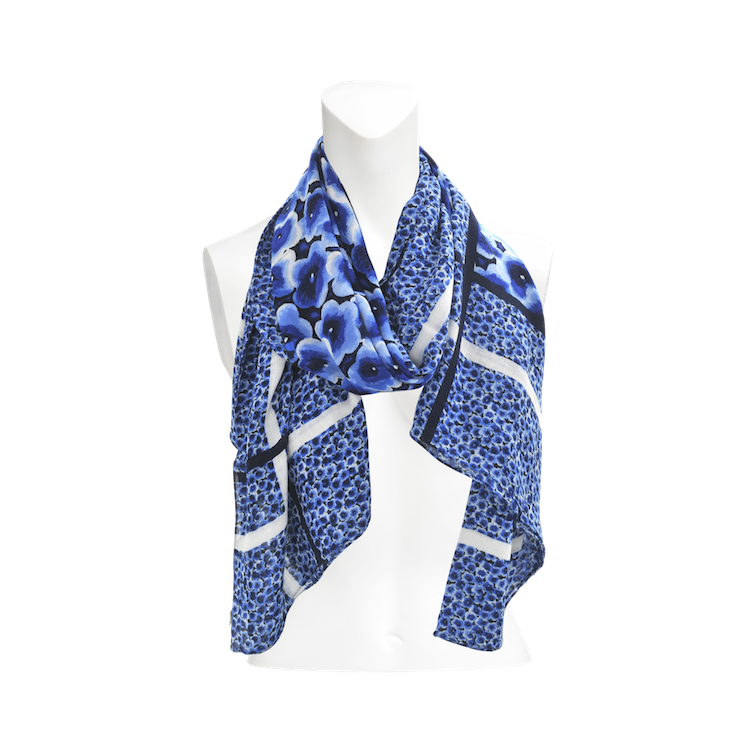 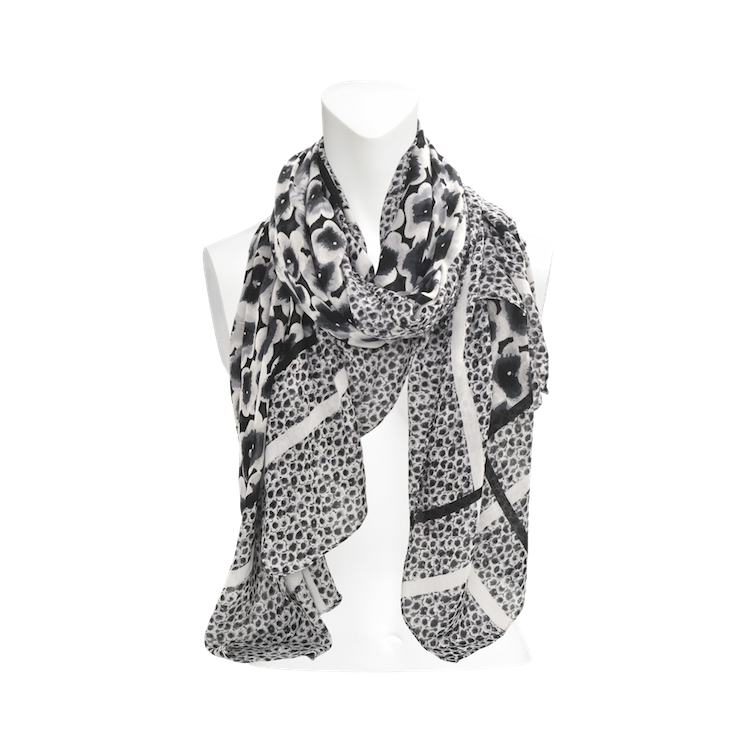 Floral-print MARC by Marc Jacobs scarf. 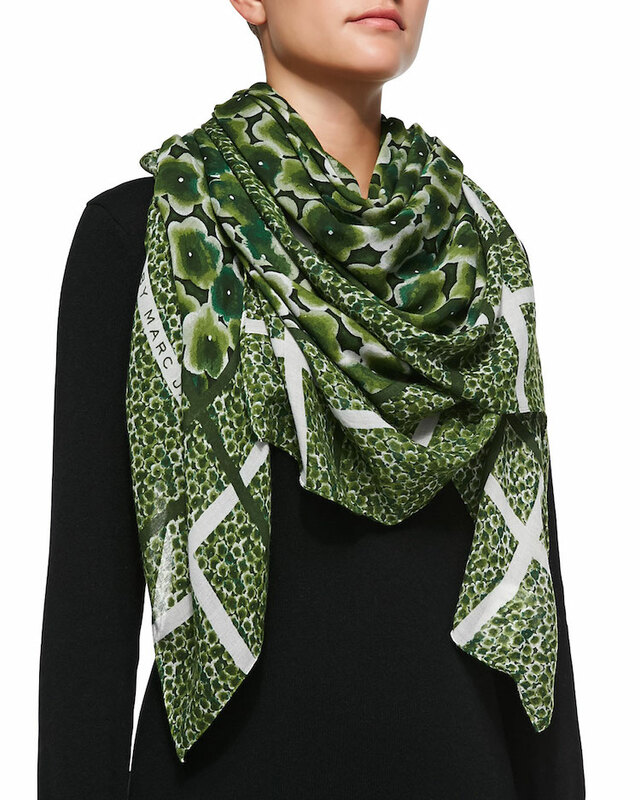 63"L x 47"W (160 x 120cm). 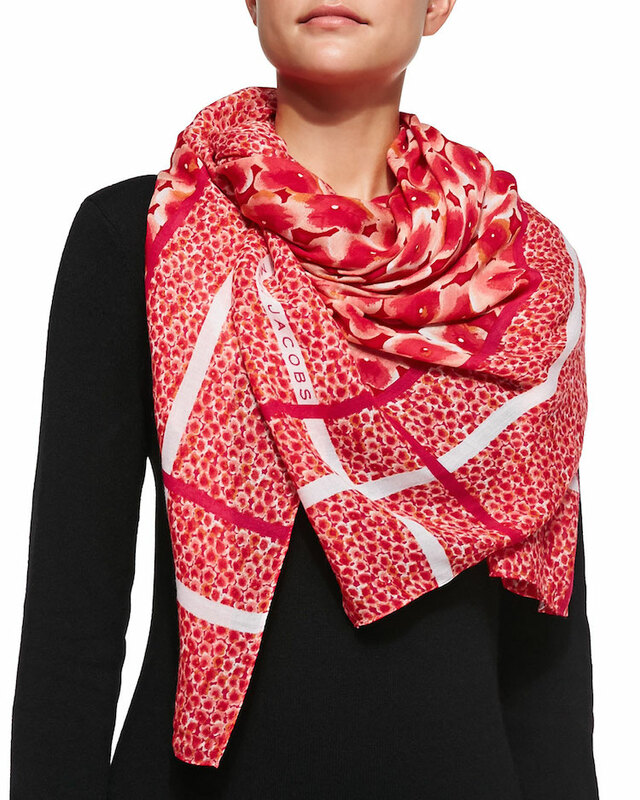 Solid stripes with MARC by Marc Jacobs logo.